Standing up at impact is the golf swing error that involves changing the forward spine angle during the swing, specifically at impact. First set at address, the forward spine tilt is meant to be kept intact throughout the golf swing. However, some golfers do change that spine angle as they get closer to impact in what is known as standing up at impact. The main issue with rising at impact is that it modifies the bottom of the swing arc, which leads to shot inconsistency. Or at the very least, it adds to the difficulty of hitting the ball on the sweet spot of the club reliably. 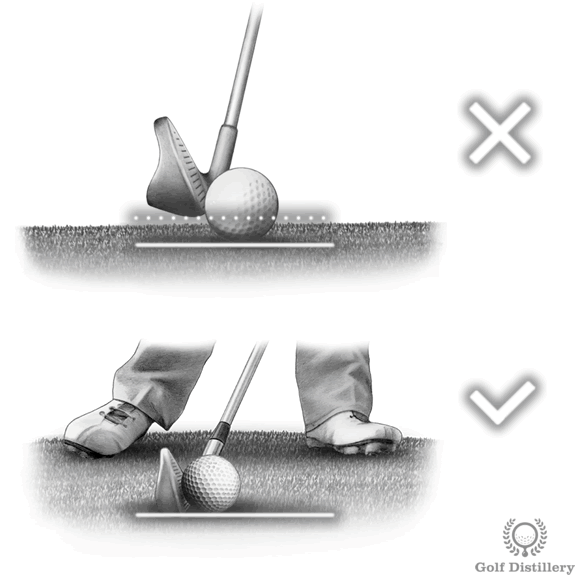 Indeed, the sole of the club was laid on the ground behind the ball while setting up for a shot in order to give the golfer an indication of where the ball is and how far it is from the golfer’s hands. If the upper body is to rise before the ball is struck the hands will rise too and they will raise the clubhead and the bottom of the swing arc. This situation will lead to inconsistent shots, more specifically thin shots that produce no divots and whose ball flight doesn’t climb as high into the air as the loft would normally allow. 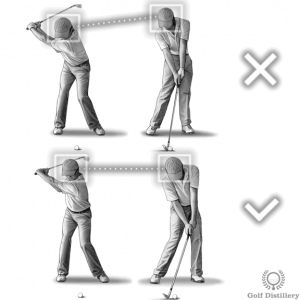 A good way to stop standing up at impact is to focus on your head. Indeed, if the head is not allowed to rise or move at all vertically the upper body will be forced to move while keeping it in place. 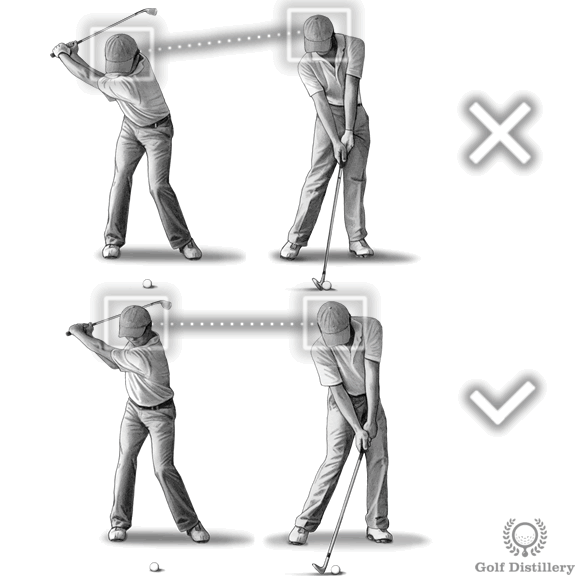 And in doing so, the spine angle should remain constant throughout the swing, which is one the things being sought. Another way to help keep the head in the box is to make sure to keep your eyes on the ball throughout the swing and to keep your head trained down at impact. A very famous swing error is to lift your head at impact, consciously or not, in order to have a good look at the ball as it flies off the head of the club.